Last week, Anne Brady, former finance director of the Democratic Congressional Campaign Committee, analyzed the House races from her perspective. Today, Jeff Burton, the Deputy Executive Director of the National Republican Congressional Committee, offers the GOP analysis. Democrats need to pick up a net of 25 seats to take control. With a month and a half before Election Day, Republicans stand an excellent chance of not only keeping control, but also gaining seats and expanding our majority in the House. History is on Our Side – Only once since WWII has the party holding the White House gained more than 15 House seats in a presidential election year. That was in President Johnson’s 1964 landslide win over Sen. Barry Goldwater. President Obama’s negatives (ObamaCare, Cap & Trade, stimulus, economy & jobs) are so ingrained with voters that there is virtually no chance of a Democratic landslide. 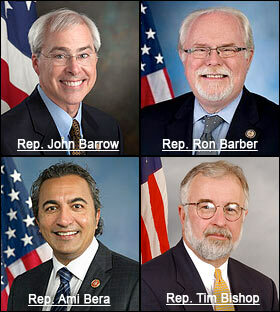 Republicans on Offense – In 2010, the NRCC spent over 98 percent of our election money on offense. Going in to 2012, our strategy was to stay on offense and not let the Democrats spend the bulk of their money in Republican seats. Currently, of the $50+ million that the NRCC has reserved for TV this fall, we are spending 40 percent of it on offense, with Democrats following us in most places in an attempt to defend their endangered seats. Needless to say, a majority is not won by spending the bulk of your resources playing defense. Message – Recent polling shows voters are putting more and more blame for the bad economy on President Obama. The Obama economy has precipitated the worst economic recovery in our nation’s history, and voters aren’t ready to let Democrats get away with it. Despite the Supreme Court ruling, ObamaCare is still an albatross around the necks of congressional Democrats. The Congressional Budget Office just upped both the overall cost of ObamaCare and the commensurate amount of Medicare cuts for current seniors that offset the massive new federal expenditure. Our message of reducing spending & debt, creating jobs, and repealing and replacing ObamaCare continues to resonate with voters. Our incumbents and candidates have done a great job of communicating this message. Resources – The Democratic Congressional Campaign Committee (DCCC) talks a lot about how they have out-raised the NRCC for the cycle. But, as any small business owner will say, ‘you can’t spend gross, you can only spend net’. According to the last report (end of August), the NRCC had $10 million more cash-on-hand than the DCCC. What does $10 million buy? It buys a month of television in Chicago, Sacramento, Denver and Las Vegas: all expensive markets where both parties are playing both offense and defense in multiple districts. The Drive for 25 – This was the slogan the Democrats came up with after they lost the majority in record-breaking fashion back in 2010. Their math, however, doesn’t add up. Because of redistricting and key Democrat retirements in seats like OK-2 (R+14), AR-4 (R+9) and NC-13 (R+10), Republicans have a number of “gimmies” that we should pick up without spending any money. This, coupled with DCCC recruiting failures in seats in New York, Arkansas, Pennsylvania, California, Illinois and Florida, and redistricting victories in North Carolina and across the country, provides the basis for every non-partisan political analyst (and even the liberal New York Times) to say that Democrats really need to pick up somewhere between 35-40 Republican seats to win the majority. All these factors lead to a neutral political environment. Head to head, I would take our incumbents and challengers over theirs any day. So Nancy Pelosi’s “very excellent chance” to take back the House is nothing more than a pipe dream. She won’t be wielding the Speaker’s gavel anytime soon. Hopefully, she never will again. In Ohio’s only general election congressional race pitting two incumbent members against each other, a new poll reveals a very tight contest with tremendously high stakes. A GBA Strategies internal poll (July 15-19; 500 likely OH-16 voters; margin of error plus-or-minus 4.4 percentage points) conducted for Democratic Rep. Betty Sutton shows her to be in a statistical dead-heat against GOP freshman Rep. Jim Renacci. The data gives Sutton 42 percent as compared to Renacci’s 40 percent. Surprisingly, Libertarian candidate Jeff Blevins is taking a sizable 12 percent of the sampled voters. This latter number causes some to question the poll’s methodology because, for a sole independent candidate, these figures are much higher than what is normally seen. Third-party candidates have shown to typically under-perform in their poll results, so it is likely his actual vote total will return to the low single-digit percentages that are normally recorded for such candidates. Interestingly, GBA projects Blevins to be drawing his support equally from both Democrats and Republicans. The current results show little change from GBA’s October poll that projected the race to be tied, with each candidate attracting 45 percent of the vote. Blevins, however, was not factored into the earlier poll. The numbers are also in line with a June poll from Normington Petts & Associates, a Democratic survey research firm, that found Sutton to be leading Renacci 41-38 percent. In July, the Democratic-leaning House Majority PAC further confirmed Sutton and Renacci were statistically tied at 40 percent, with Blevins taking a much smaller share of the vote. The 2011 redistricting plan paired Sutton and Renacci as a result of Ohio losing two congressional seats in reapportionment due to slow population growth. 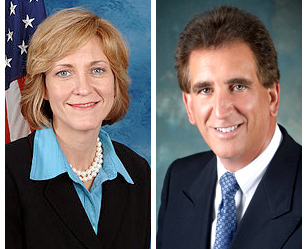 With a Republican legislature in control of the redistricting pen, the two were placed in a seat that favors Renacci in a head-to-head race with Sutton. Renacci carries over 41.8 percent residents from his current seat, while Sutton has far fewer constituents in the new 16th. Her carry-over figure is half that of Renacci’s, at 20.6 percent. With polling leaving us in a statistically deadlocked race, we turn to the importance of spending and fundraising. Renacci was the stronger fundraiser last quarter according to the latest Federal Election Commission financial disclosure reports (closed June 30). He reported raising approximately $502,000 compared to Sutton’s $293,000. Additionally, Renacci ended the quarter with approximately $1.5 million cash on hand, compared to Sutton’s $900,000. Contrary to 2010 when the Republican self-contributed more than $752,000, this year he has only invested $2,500 into his re-election campaign. Both campaigns and outside liberal and conservative groups already have reserved millions of dollars in TV advertising time in the Cleveland media market. Groups such as the Democratic Congressional Campaign Committee (DCCC) already have reserved over $3 million in Cleveland ad time and similarly the National Republican Congressional Committee (NRCC) as well as other groups has reserved $2 million buys thus far. This member vs. member match-up has been a tight battle since the seat was redrawn and guarantees to be a horse race until the end. Both candidates have the experience, resources, outside support, and staff to run strong campaigns. OH-16 is considered to be a top race for both the DCCC and NRCC this fall, so stay tuned. Today’s spotlight takes us to southern California to underscore just how much difference redistricting and election law changes can make in campaign strategy. The new CA-26 was deliberately designed as a 50/50 seat, and the state’s novel primary law is forcing the Democratic Congressional Campaign Committee (DCCC) into making some rather unorthodox spending decisions. CALIFORNIA (current delegation: 34D-19R) – The new 26th District is fully contained within Ventura County, which sits between cities and counties of Los Angeles and Santa Barbara. According to the latest census count, Ventura has 823,318 residents, which makes it a major political division. The new 26th was designed with the idea of creating a marginal district that would remain competitive throughout the decade. As an open seat, because Rep. Elton Gallegly (R-CA-24) is retiring, the district appears to be performing as intended. Sixty-four percent of the district’s territory comes from Gallegly’s 24th District. Thirty-five percent is added from Democratic Rep. Lois Capps’ 23rd CD, with just a sliver from Rep. Henry Waxman’s (D) current 30th (1 percent). Though President Obama captured 56 percent of the vote here in 2008, the 2010 numbers tell a completely different story. In the governor’s race, Democrat Jerry Brown, the eventual winner, came up one point short in the 26th, as Republican Meg Whitman nipped him 47-46 percent. Republican Carly Fiorina came in ahead of Sen. Barbara Boxer (D) by an almost identical 47-45 percent spread. Finally, to counterbalance the Obama double-digit win, the Republican candidate for Attorney General, Steve Cooley, notched a 49-38 percent score against Democrat Kamala Harris, the statewide winner by less than half a percentage point. In addition to redistricting, the other major California electoral change concerns how the state nominates candidates for the general election. Instead of featuring a closed primary election system that sends one Democrat, one Republican, and multiple Independent candidates to the general election, the new system puts forth only the two top vote-getters regardless of political party affiliation. The new procedure is creating havoc in District 26. The Democrats were solidly behind their Ventura County supervisor, Steve Bennett, early in the race. Both the local and national party felt Bennett gave them their best chance of attaining victory in the marginal seat. 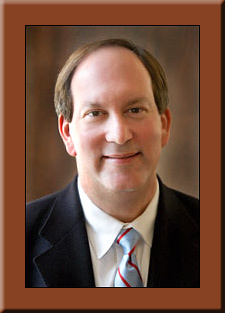 After officially entering the race, Bennett decided to return to local government instead, and withdrew from the congressional campaign. This left the Democrats without a strong candidate until they were able to recruit three-term state Assemblywoman Julia Brownley; but the heart of her current legislative district is in Santa Monica and not Ventura County. For their part, Republicans coalesced around state Sen. Tony Strickland, who had twice been a statewide candidate. It is the second supervisor in the race, Republican Linda Parks, who will test just how the new law works. Instead of running as a Republican, knowing that Strickland would take the majority of the GOP primary votes, she decided to declare herself as an Independent, thinking that this would be her best chance of snatching a run-off position away from the Democrats. Parks is a major Ventura County political figure, serving her third term on the Board of Supervisors after winning election as mayor of Thousand Oaks after serving on the locality’s city council. This contrasts heavily with Brownley, though representing some of Ventura County, who actually hails from Santa Monica in Los Angeles County – a point that Parks consistently reiterates. The set-up here is forcing the DCCC to involve itself in the June election because they fear that both Strickland and Parks could qualify for the general, thus leaving them without a candidate in a seat that they can certainly win. The DCCC is therefore actively communicating with voters, sending mailers that “Photoshop” Parks into a setting with Republican leaders such as Sarah Palin and former president George W. Bush. Others drive home the point to Democratic voters that Parks is actually a Republican. But Parks counters by highlighting other campaign messages from her previous opponent, ironically Sen. Strickland’s wife, Audra, who challenged her for the board two years ago, that identified her as a liberal and being too aligned with the Democrats. Parks is cleverly juxtaposing both mail messages to prove that she is, in fact, independent because both parties have launched similar attacks against her. Redistricting and the election law process were done to change the voting system in California, and it appears those goals have been accomplished. The developments in the 26th District until the June 5 qualifying election will be very interesting to watch. It is clear we are seeing unusual happenings here, which are expected to continue. Is the DCCC Wasting its Money? The Democratic Congressional Campaign Committee is already on the attack, running radio ads this week against 19 Republican incumbents whom they believe will be vulnerable next year. According to the message in most of the spots, the member in question is being attacked for supporting the Republican spending cuts, which the Democrats’ say will tangentially stifle job creation. The problem for the DCCC is that in nine of the 19 targeted districts, Republicans have full control of the redistricting pen, and to a person these members will be running in much stronger GOP districts in 2012. In only two of the 19 will the Democrats be able to change the districts to enhance their own party candidates (in Illinois — Reps. Bob Dold and Joe Walsh). In the remaining seats, the Ds and Rs have split control meaning that a redistricting commission or a court ultimately will decide how the final lines are constructed. Until redistricting is complete, it is difficult to fully grasp how the new congressional districts will form. Therefore, the DCCC may be paying to educate large numbers of constituents who won’t even be eligible to vote against their particular target in the fall of 2012. Likely, the more cost-effective, short-term advertising strategy for both parties is to demonstrate patience.